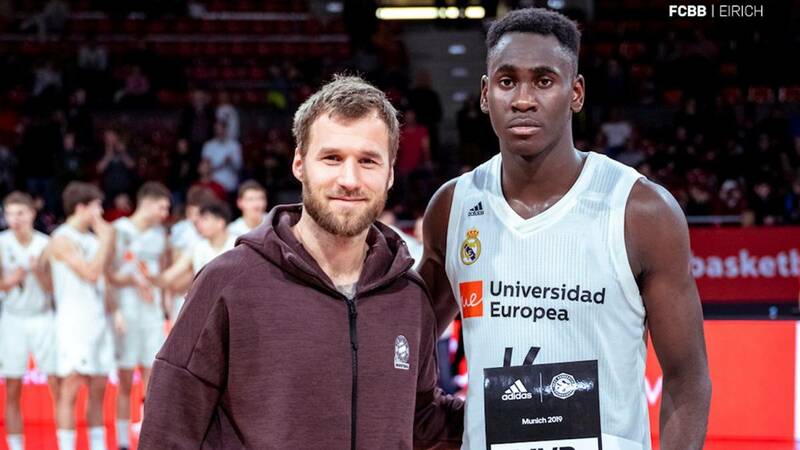 Home Basketball Garuba, Doncic fan: "I've never seen a player like him"
Garuba, Doncic fan: "I've never seen a player like him"
The reference of the Real Madrid sub 18 praises the Slovenian player after qualifying for the final phase of the Euroleague junior tournament. The player of Real Madrid sub 18 Usman Garuba was one of the architects of the classification of the white team to the final phase of the Euroleague. The team led by Mariano de Pablos got the feat after beating Alba Berlin, Panathinaikos, Rathiopharm Ulm and Maccabi in the Munich tournament. The last time the white team beat the tournament was in 2015, when the Team star was Luka Doncic. Precisely Slovenian has spoken Garuba after getting the classification. "We learn from Doncic", said the player, who averaged 16.5 points, 7 rebounds and 3.8 assists in the Germany tournament. "It's special, he's a very good player, I've never seen anyone like him. last year and it was impressive, he did not teach me anything specific but he showed me that working hard and being humble everything can happen It's the boy in which all the young Real Madrid teams look at each other. We learn from him ", adds the player. Garuba has also talked about the final of the Euroleague that the U18 team of Madrid will play in May. "We want the championship", assured the power forward. "We have a great team and we have a great opportunity to win the title at home. We are ready", said the white reference. The final of the Junior Euroleague will be played between May 16 and 19 in Vitoria and will face a total of eight teams, where in addition to Real Madrid will also be Valencia Basket. The Whites aspire to reissue the title they already won in 2015 from Luka Doncic, this time with Garuba as reference.